These free printable recipe cards will bring back the nostalgia of your mom's recipe box that was the manual for all her wonderful homemade cooking. There's something just so special about a recipe handwritten and these printable recipe cards will help you do it in style. These recipe cards make great gifts or you can put down some recipes and keep them for yourself. These printable recipe cards work best when printed on card stock. Some can be filled out before printing while others are just meant to be handwritten on after printing so be sure to look for directions on each site. If you like to can, here are some free sets of canning labels you'll want to check out. These modern recipe cards from Inspired by Charm will bring summer into your kitchen any time of year. It has a place from the title, the chef's name, prep time, servings, ingredients, and directions. Be sure to check out the other free recipe cards she's designed that includes one for each season and a few for various holidays. There are 8 different designs in all. The Social Home has designed these lovely green and white recipe cards that bring back the feel of the classic kitchen. There's room for ingredients, directions, and the title. These 3x5 recipes cards print four per page. Here's the direct download link for these free recipe cards. These black and white recipe cards will go in any kitchen with their classic design. 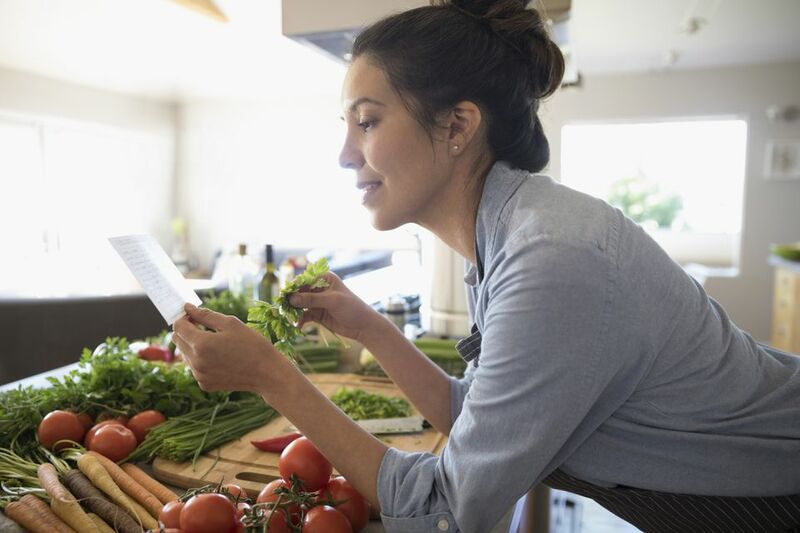 There's room for the title, the number of servings, prep time, cook time, check's name, notes, ingredients, and directions. These will download two cards per page. You have the choice of printing them out and then filling them in or typing ​in them directly into the PDF and then printing them. The Gracious Wife has designed 5 sets of free recipe cards in pink and gold, aqua and gold, black and gold, navy and lemon, and white and gold. You'll need to sign up for their free newsletter but then you'll get a direct link to the free PDF downloads. 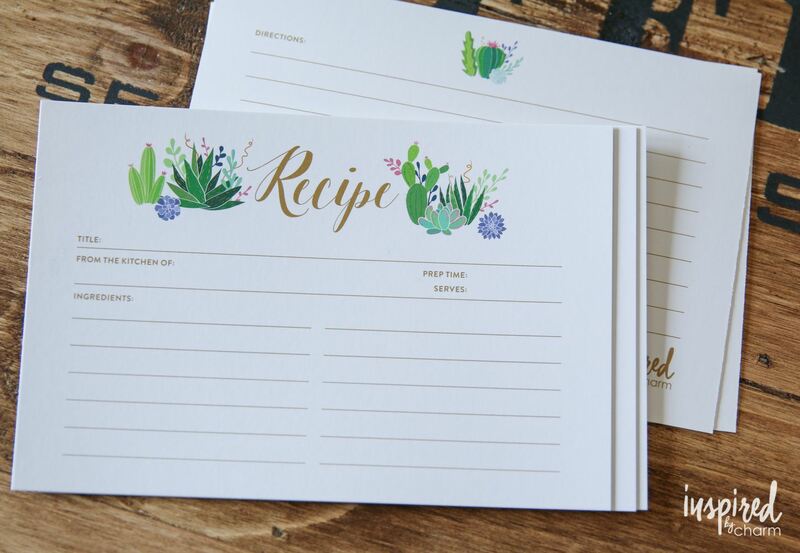 These free, printable recipe cards are double sided with the ingredients on one side and the directions on the other, meaning you have even more space to write. These are really cute recipe cards that would cheer up any kitchen. I love these free owl recipe cards! Cheerful owls decorate both sides of this recipe card. These free, printable recipe cards are just so cheerful with their vibrant colors and fun lemon and flower design. Besides the printable recipe cards there are also free floral gift tags/stickers and lined labels. These free recipe cards are simple and sweet and are printed in blue, green, red, and yellow all with slightly different designs. What I really love about these printable recipe cards is that I can type my recipe in before printing if I want. So easy! Key Lime has created some fabulous printable recipe cards that include a flower and the phrase "Oh So Yummy." These free recipe cards can be printed with out without lines. There are three sets of free printable recipe cards over at Kori Clark including this cute blue cards as well as a woodland themed one and one with apples. Just download these as a PDF file and print as many as you'd like. These fabulous printable recipe cards feature orange, teal, and green flowers. They would be so pretty for anyone's recipe collection. Print out the recipe cards as either 4x6 or 3x5.